This post is for all you writers out there wondering how to create diversity in your novel. Creating diversity is not just the act of developing a character of color, it is also creating a diverse world. Think about the world that you live in. Who do you interact with everyday? I’ll use myself as an example. I live in Long Beach, CA, one of the most diverse cities in America. My student population is 60% Hispanic/Latino and 40% African-American, but the teaching staff is much more diverse with a good mix of different nationalities. I live in a large condo complex and there is every race and age living in the building. Yesterday as I walked out, I was behind an elderly Japanese couple and there is a mixed race family with two girls that I have seen grow into beautiful young ladies. Our neighbors across the courtyard are Samoan. This is just my complex. My best friend from high school is Puerto Rican and my husband’s best friend is a mix of Mexican and Navajo. Another high school friend, who is Caucasian, married a man who is a mix of Mexican and Japanese. Their daughter is a lovely blend of everything that makes up her parents. Another friend’s fiancée is Filipino, and she herself is a mix of Persian and Jewish. I am sitting in a coffee shop as I write this and the ethnic makeup of everyone in here is a mix of all the colors of the world. Obviously, I encounter diversity in every aspect of my life, except for in novels. Why is this? I know writers do not write in a vacuum and have lives outside of the computer. Why not have the world you create from the pen, reflect the world the you live in? If you are unsure of how to do that, just spend some time sitting in a restaurant, coffee shop, mall, wherever people gather and watch them. Imagine their lives. What are they doing? Where are they going? What are the relationships with the people they’re with? You don’t have to create full character histories for them, but do remember them when creating the world your characters lives in. Just having a main character of color is not enough; the people the character interacts with should be diverse as well. Don’t just focus on their ethnicity as well. People of color are more than just their skin. We are as unique and varied with our own special interests (I’m a Trekkie) and when creating diverse characters make sure you are creating a real person, not just a stock stereotype. Even if your main character interacts with a person for just one scene, create a small character profile in your head and then use that as a basis for how you write him/her in that once scene. Or, use the personality of someone you know and think about how he/she would react in the same situation. Think outside of the box and strive to make your world reflect the world you live in. Now, unless your world is set in a place that is not diverse, say the novel “Spirits Chosen” which was set in a mythical Japan, then obviously your characters will not reflect the diverse world you live in. However, if you are interested in writing fantasy, why stick to the European version of elves and such? Why not look into the ancient history or folklore tales of other cultures? There is such a wide variety of stories from distant places that are just waiting to be told. 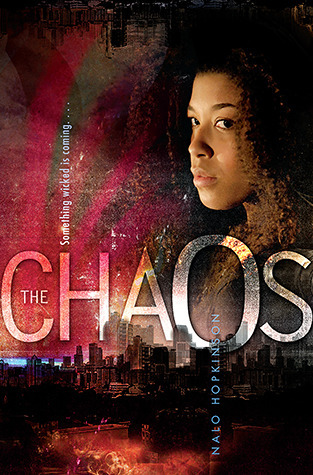 Nalo Hopkinson’s “The Chaos” is a novel that creates a diverse world the right way. In fact, it felt as if she were hitting us over the head with diversity, but that is because it is so rare in fiction to find a novel that accurately reflects the culture we live in. The novel is set in modern day Toronto when an odd supernatural event happens, dubbed The Chaos for that is exactly what it is, and the story deals with one characters attempts to survive the event. The novel does have an aspect of fantasy pulling from Caribbean, Asian and European folklore traditions. I recommend that every writer interested in creating a diverse world, read Hopkinson’s book for inspiration. Go forth and create diverse worlds! Great post and great advice! Exploring the relationships can help a writer go beyond tokenism.